The first is Simon Cowell who, if he's not on TV in the UK or US, is either online or on our newstands, keeping his X-Factor brand firmly in the headlines. The media mogul, who is currently back in the UK filming Britains Got Talent, is keeping those who are interested guessing about the new judges for next season's US X-Factor. Britney Spears and Janet Jackson are apparently both potential picks. As for the ousted host Steve Jones, Simon claims there was only room for one Brit on the show! More interestingly, he recently told Britain's The Sun newspaper 2012 could be the UK's best year ever. He claims the Olympics and Queen's Diamond Jubilee have boosted the country's profile and also felt the young people he works with have the power to make important changes in the country. 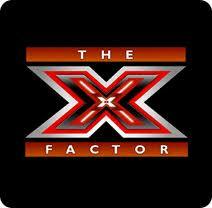 In particular, last year's UK X-Factor finalists One Direction, who he signed to his Syco record label. Which brings me to the second set of Brits causing a stir this week. Well, less of a stir and more of a hurricane. Thousands turned out to see the five-member boy band One Direction make their US TV debut on the Today show yesterday. The band's first single What Makes You Beautiful debuted on the Billboard Hot 100 at #28 in late February, giving the boys the highest debut chart position of any UK act since the Spice Girls! Is it too early to talk about a British invasion? After all, another UK group The Wanted are enjoying much acclaim over here along with acts like Coldplay, Adele, Estelle and Jesse J. Whether the climate is just right for something different in the US charts or these international acts are merely filling gaps in the US market, it's clear that US consumers have always been open to authentic talents, rather than imitations of what already exists. If you've followed the underground UK comedy scene, like I have, Gina Yashere is a familiar face. And I'm glad to say she's steadily becoming more familiar over here too. After making it to the semi-finals of NBC's Last Comic Standing she can regularly be seen on The Tonight Show with Jay Leno (NBC), as Madame Yashere,'The Surly Psychic'. The cheeky comic lives in LA now and is currently developing a sitcom with the BBC in the UK and will be filming her new DVD in San Francisco in September. Gina Yashere on The Tonight Show with Conan O'Brien from gina yashere on Vimeo. What is is about an English accent that connotes a certain air of authority to Americans? 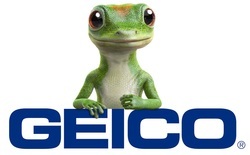 The Martin Agency, creators of the Geico gecko ads, are well aware of this. First, they used Kelsey Grammar, then British announcer Dave Kelley supplied the accent with an Aussie twang. Now the gecko speaks with a Cockney accent. He's been given a more working class attitude in order to make him appear more human, apparently. In case you were wondering, as I have several times, the current voice for the gecko is British actor and comedian, Jake Wood. He's most commonly known as Max Branning in the British soap, Eastenders.